As in Torah, Camp Newman will (re)build with a community’s offerings – J. 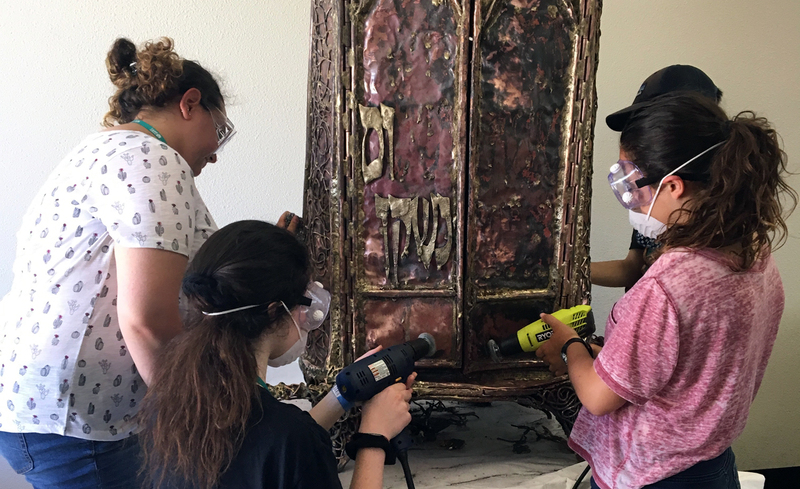 Camp Newman campers work on restoring the ark, which was damaged in the 2017 North Bay wildfires. What the Torah does not say in its description of the materials that will be used to build the Mishkan (tabernacle) is that copper melts at 1,984 degrees Fahrenheit. 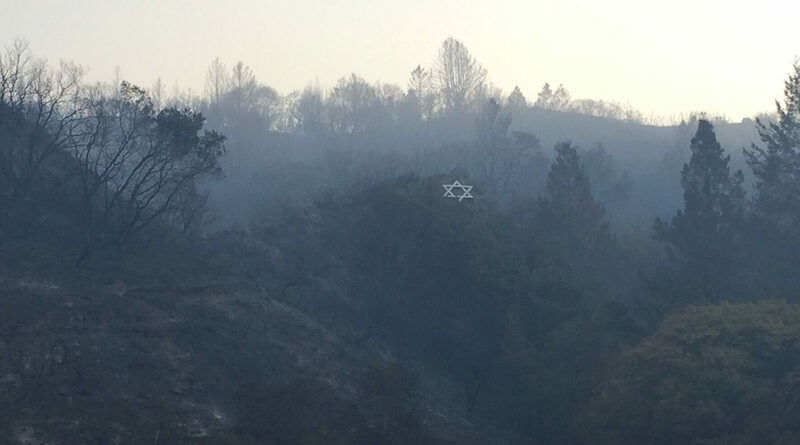 On the night of Oct. 8, 2017, URJ Camp Newman was flattened by the Tubbs Fire, which killed at least 22 people and burned 36,000 acres. With winds gusting up to 80 mph, the fire melted cars and reduced them to little more than metal and aluminum pooled on the ground. No lives were lost at Camp Newman, and all the Torah scrolls were saved, but the Holocaust memorial ark and bimah were, like cars, reduced to ashes and pools of metal. Yet there was a survivor among the ashes. A little ark. All arks in contemporary spaces are spiritual descendants of the ark whose construction and purpose are described in this week’s parashah, and here I will try to tell the story of how a new generation of Israelites, campers and staff opened their hearts and wielded their power tools — modern terumah. Before the Holocaust memorial ark came to Camp Newman, it was built over many years and with many hands at Camp Swig in Saratoga, where it eventually resided in the Jo Naymark Holocaust Memorial Chapel, designed by Samuel Noily and dedicated in 1982. Before the completion of that chapel, the late Helen Burke, for 20 years the camp’s artist-in-residence, embarked on a secret project to construct a little ark for the Holocaust memorial Torah scroll. Like this Torah portion, we had a Torah, but no ark to house it and no home for the ark. She despaired that the project would not be completed. I was sworn to secrecy and enlisted to help construct the little ark around 1976. Helen called this little ark the “Little Ambassador” because she felt that with the Holocaust Torah safety inside of it, the two together would travel and show the potential and hope of completing the entire Holocaust Memorial Chapel. On the doors of the ark, Helen welded these words from Psalms 85:11: “Mercy/chesed and truth/emet are met together; righteousness/tzedek and peace/shalom have kissed each other.” It was portable and had steel-reinforced handles. 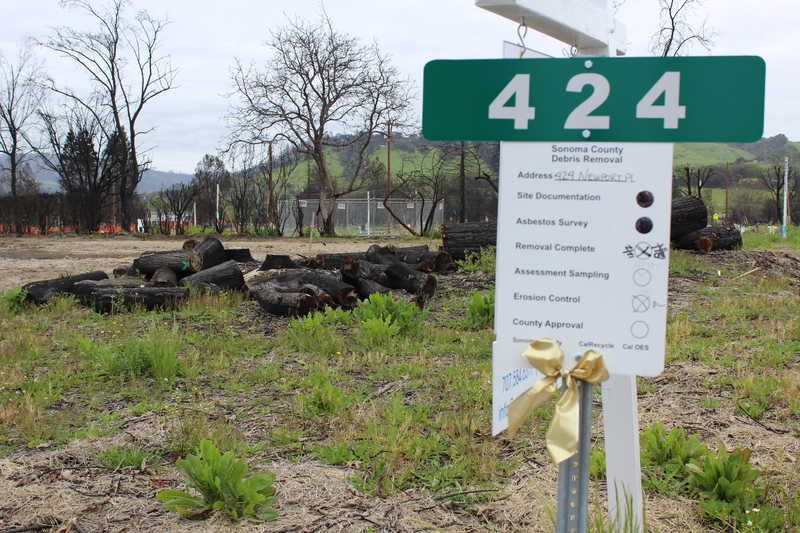 The day after the devastating Tubbs Fire in 2017, it appeared that all of Helen’s and her campers’ work (15 years and 1,500 campers) was lost. A press photo revealed the “Little Ambassador” in the ruins. The firestorm where the little ark sat was hot enough to char and blacken, but below copper’s high melting point. 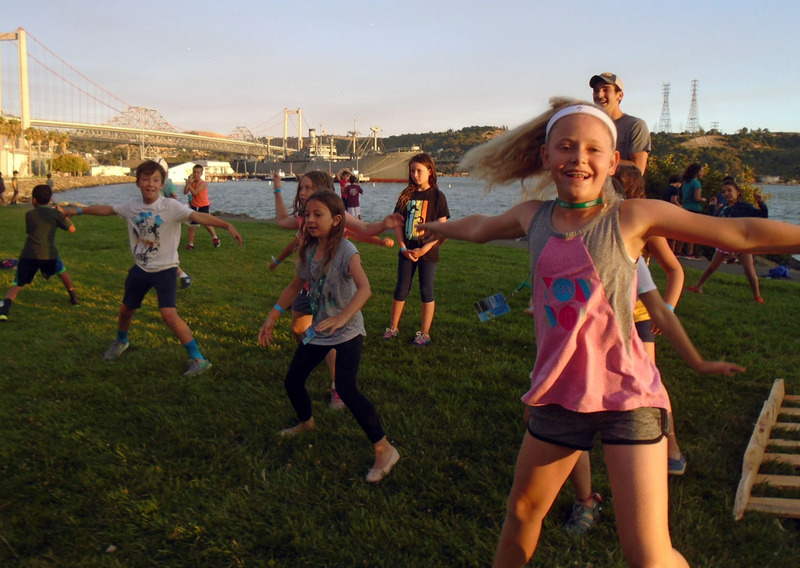 Last summer, during the Hagigah arts session at URJ Camp Newman in Vallejo, the “Little Ambassador” was brought to the arts village. It was covered in debris, its dome was crushed and its frame bent. 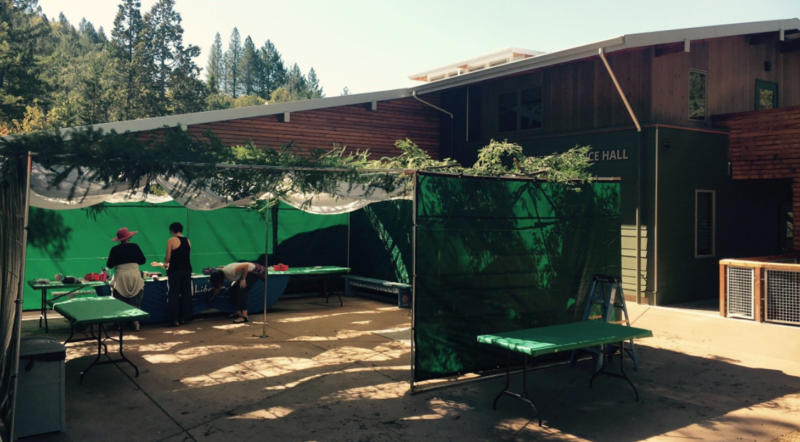 It was the first time the high-school-age campers had seen or touched anything from the fire. We immediately grabbed hammers and metal working tools to pound it into shape. This ark could take it. There is steel in the rods, something the Israelites did not have, and we do. After Hagigah concluded, the “Little Ambassador” went to the studio of Bay Area metal and Judaica artist Aimee Golant for structural repair. We reached out to Rhonda Kap (a former student of Helen’s) to recreate the lost letters. Rhonda was working on more lost pieces until her studio was destroyed in the November 2018 fires in Los Angeles. As with the first ark, the “Little Ambassador” was built to be a symbol of hope, to spark a conversation that virtue, beauty and love rises above fire and destruction. The camp, the ark and the studio will all be rebuilt by willing hearts and many hands, if we bring the terumah. 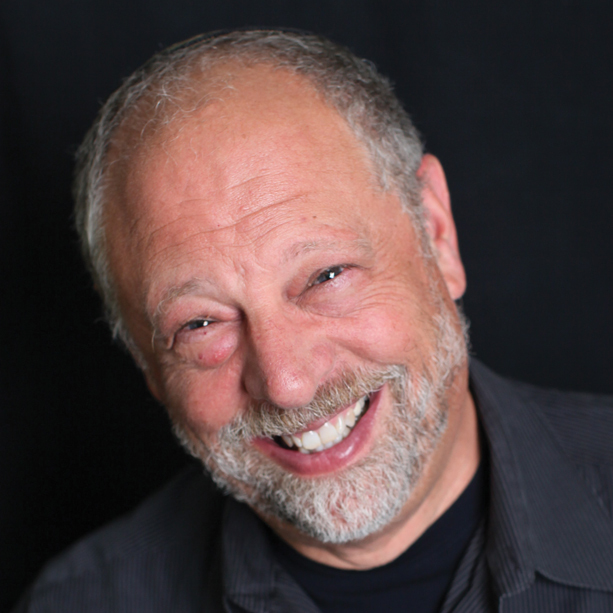 Rabbi Peretz Wolf-Prusan is the chief program officer and senior educator at Lehrhaus Judaica. He can be reached at peretz@lehrhaus.org.